With a proven record of excellence in providing the drivers of Dallas with quality towing services, Delta Towing is a name you can count on. Did you just get into an accident? Did your car break down? Rather than spend hundreds of dollars on second-rate towing companies, call us for a fast, reliable, and affordable towing service. We and our network of independently owned and licensed affiliates are open 24 hours a day, 7 days a week, 365 days a year. No matter how bad is the weather or how inconvenient the hour, our dispatcher will answer your call and immediately send out a licensed tow truck driver and technician. Because we know that the side of the road is no place for you to be, we’ve worked hard to achieve one of the best response times in the business. Barring unforeseen circumstances, our tow truck driver will arrive at the scene of your accident or car breakdown within a fast response time. 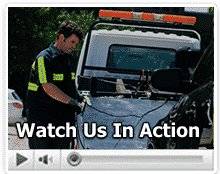 The mechanics, technicians, and drivers who make up the towing staff at Delta Towing are all trained professionals. We run background checks on every new employee, making sure he has a clean driving record and a verifiable employment history. All of our tow truck drivers and mechanics receive hours upon hours of hands-on training in the towing of vehicles both small and large. No matter what the size of your vehicle, our tow truck drivers will safely tow it the destination of your choice. Every week, we receive dozens of unsolicited thank-you notes from drivers all over Dallas. And it’s no wonder, really: Offering the most affordable rates in the business, Delta Towing is a name you can trust. Hidden fees and commissions have no place at our transparent prices. You’ll know exactly how much the towing service will cost before the tow truck driver arrives at the scene of your accident or car breakdown. Delta Towing Dallas is licensed by the Texas Department of Licensing and Regulation.